Born in Belgium in 1919, Eduard 'Bamboula' Ferret was a gypsy from mixed Gitan-Manouche origin. As a youngster he started to play guitar with musicians from his family and was quickly considered an exceptional talent. In the sixties he moved eventually to France where he concentrated more on playing violin and especially on singing. Besides the strong influence Bamboula had on many musicians he also was the first inspiration for his nephew Fapy Lafertin to pick up the guitar. Fapy later became one of the greatest guitar players of the world in the gypsy swing tradition. 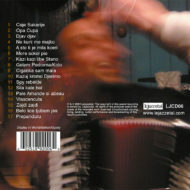 Some twenty years ago he started to compose, in collaboration with Fapy, songs in his native Romani language. About a decade later they started to record these originals, combined with some French songs that Bamboula knew from his youth. Sadly enough, Bamboula Ferret passed away in 2008, leaving this recording as his last testimony. Great news! The long-awaited-for and much-anticipated CD by Fapy and Bamboula is now available on iTunes for only ten dollars! 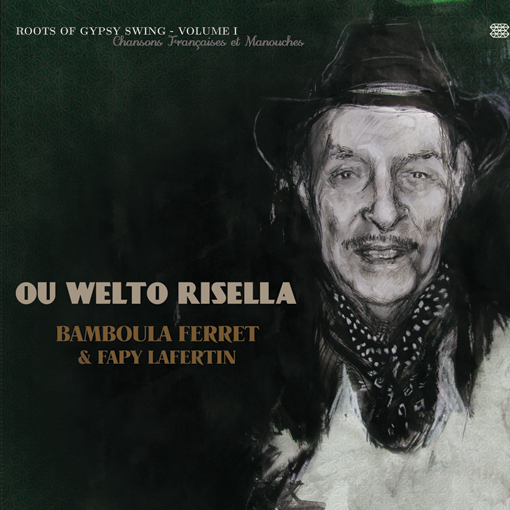 The CD, entitled Ou Welto Risella, has 15 tracks with Bamboula on vocals and violin and Fapy playing some of his most beautiful guitar work ever. An exciting note for those who may have the "bootleg" copies is that–to my count–there are FIVE previously unreleased songs on this CD! Each is a new treasure. For students here, every song is an excellent study in Fapy's techniques. I don't know which floors me more — how he so tastefully introduces and backs Bamboula's excellent vocals, or the multiple choruses he plays during his masterful solos. In many cases, he states the melody in the first chorus then creates a magical tapestry of arpeggios in the following choruses. This is a grand work of love from the undisputed master of the Gypsy ballad sound, and there is a lifetime of study in these recordings alone. Yet I know there are at least 19 more recordings from these sessions and hopefully they too will be released someday. Until that time, these will more than hold us over. Thank you Fapy for making these recordings available for everyone, and let me add, it is my great pleasure to be able to finally pay you for these wonderful recordings! I hope others who have the bootleg copies will also join me in this privilege. 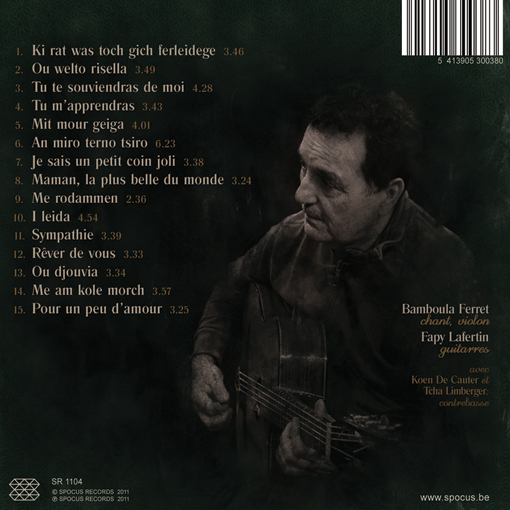 Eduard "Bamboula" Ferret's famous recordings of Gypsy jazz, old-time Gypsy music, and French chanson were legendary among fans–although many never had a chance to even hear them. These recordings were so rare, so hard to find, that they had become almost mythical–or perhaps, apocryphal. Bamboula's two collections of homemade tracks were released in the late 1990s on CDRs and sold at Gypsy religious festivals and pilgrimages in Europe; from there, they were passed around as much-coveted bootlegs among cognoscenti. Throughout the years, the acclaim for Bamboula's music continued to swell: Most who had somehow gotten a chance to listen in agreed that these were true classics of Gypsy jazz. Now, tiny Spocus Records in Belgium has released a collection on CD, and the world can finally hear Bamboula's musical legacy. 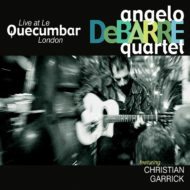 Bamboula was born in 1919, and thus was of Django Reinhardt's generation. But while Django spent his life in the jazz spotlight, Bamboula traveled Europe in a Gypsy caravan as a troubadour playing music for dances as well as at country fairs and smalltown markets. He performed with two cousins who have also become Gypsy jazz legends: Henri "Piotto" Limberger and his brother, Alfred "Latcheben" Grünholz. These three musketeers called themselves Les Piottos. In later years, the musicians taught their children the music, and these younger generations of Gypsies formed bands, inspiring such famed Gypsy jazz ensembles as Waso, the Rosenberg Trio, and more. Yet Bamboula himself didn't record until he was in his sixties. It was Bamboula's nephew, Waso guitarist Fapy Lafertin, who finally convinced him to preserve his legacy. In 1998, Lafertin shepherded Bamboula into a studio and paid for the sessions himself. Bamboula sang both old songs and original compositions, highlighted by Lafertin's fabulous acoustic guitar solos. Backing came courtesy of rhythm guitarist Dadie Lafertin and bassist Wiwits Lafertin with Bamboula adding his violin on several tracks. A second session followed with either Koen de Cauter or Tcha Limberger on bass. The results were magical. 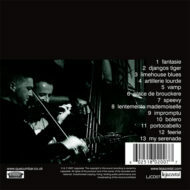 The first self-released CD was entitled Oe Djoevia, followed soon after by Me am kolle marsch. Ranging from waltzes to hymns, chanson to jazz, Bamboula's voice is otherworldly–deep, rough, and well-traveled. 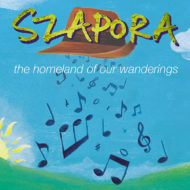 With these songs old and new, he transports listeners back in time, singing in Romany as well as several tunes in French. 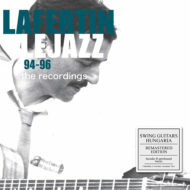 Lafertin's Selmer guitar lines wind through the songs, tying them together into perfect packages. Sadly, Bamboula himself didn't live to see the official release of his music. He died in September 2008 at the age of 89. But his legacy of classic Gypsy music and jazz lives on–at long last! Un disque inespéré, miraculeux et longtemps attendu qui va permettre aux novices de découvrir le talent du regretté Bamboula Ferret. Avec un accompagnement exceptionnel de Fapy Lafertin au meilleur de sa forme… Incontournable ! Eduard « Bamboula » Ferret nous a quittés en septembre 2008 à l’âgé de 89 ans ; 3 mois avant, on pouvait encore croiser sa longue silhouette élégante (chapeau, foulard et gilet) au festival de Samois sur seine. Né en Belgique, Bamboula fut d’abord guitariste au sein de la formation De Piotto’s, avec le violoniste Piotto Limberger et le guitariste Latcheben Grünholz (le grand-père de Stochelo), puis violoniste et chanteur. 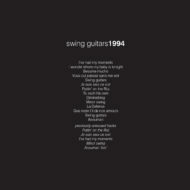 Il s’installera en France dans les années 60 et jouera tout au long de sa longue vie un répertoire composé de jazz, de musette et de chansons, notamment en langue romanès, mais sans jamais rien enregistrer officiellement. Ce disque inespéré, miraculeux, nous le fait d’autant plus regretter. A la fin des années 90, Fapy Lafertin, neveu de Bamboula, enregistre avec lui, à la maison, un certain nombre de chansons destinées à la famille mais qui ont rapidement circulé sous forme de deux CDs pirates ; Waso De Cauter, qu’on ne remerciera jamais assez, vient d’en éditer une quinzaine en Belgique sous le titre « roots of gypsy swing volume 1« , ce qui logiquement laisse espérer au moins un volume 2 ! D’après Fapy, il y a encore pas mal de matériel, ne serait-ce que les autres titres figurant sur les deux bootlegs ; seuls 9 ont été sélectionnés ici, augmentés de 6 inédits. Ce disque qui bénéficie d’une meilleure prise de son, va permettre à un plus large public de découvrir le talent de Bamboula ; un disque à l’ancienne comme on n’en fait plus conjuguant authenticité, décontraction (ces enregistrements privés n’étaient pas mis en boite pour figurer sur un disque) simplicité et émotion. 8 chansons swinguées en romanès écrites à la fin des années 80 par Fapy et Bamboula alternent avec des chansons d’amour des années 50, voire plus anciennes, presqu’oubliées (Maman la plus belle du monde, Tu m’apprendras, créée par Lys Gauty, Pour un peu d’amour, Rêver de vous ou Tu te souviendras de moi créée par Yvette Giraud), interprétées d’une voix douce et sentimentale qui touche au cœur, par un Bamboula capable de mettre dans sa voix l’éternelle émotion des amoureux. Un témoignage exceptionnel car plus personne ne chante comme cela aujourd’hui ni ne joue du violon de cette façon, un jeu à l’ancienne sans esbroufe ni virtuosité mais où le notes ont du poids et du sentiment (cf Tu m’apprendras). Il émane de ces chansons comme un parfum de nostalgie, un regret de l’ancien temps. Et que dire de l’accompagnement (le mot est faible !) de Fapy ! Entre drive royal et longs chorus constamment inspirés, ce styliste incomparable illumine le disque d’un bout à l’autre par sa classe et son élégance. L’un des plus beaux de l’année sans aucun doute ! Items will be dispatched no later than one day after purchase unless the office is closed due to holidays or touring. 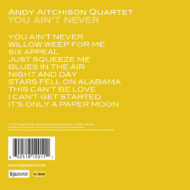 All CDs to the UK will be shipped by UK first class post. 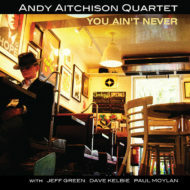 All CDs to Europe and the rest of the world will be shipped by first class overseas post.